The 14th century village as an art destination. 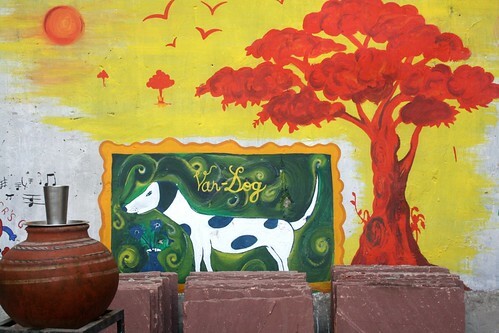 Besides its haunting ruins, Hauz Khas Village in south Delhi is known for its designer stores, curio shops, two South Indian specialty restaurants, one lounge-bar and one ‘travel’ café. 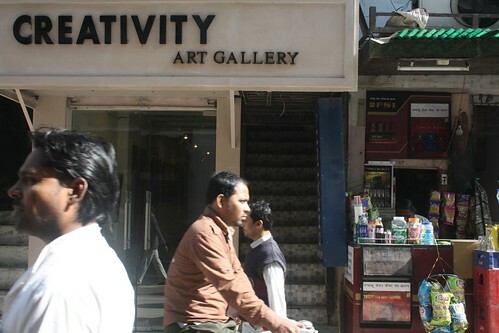 The new pull of this neighbourhood is its art galleries, which have been springing up in the past few years. 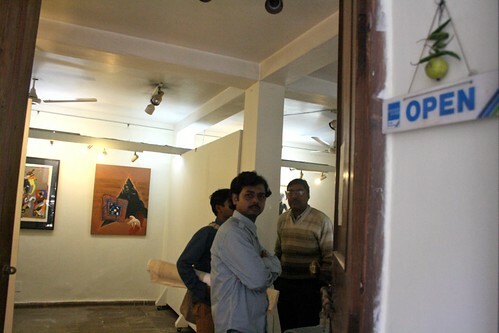 Three galleries opened in the first month of 2011 itself confirming the village’s avtar as an art destination. 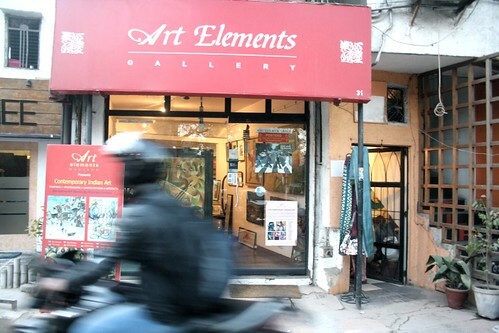 Whether you are a serious buyer or merely want to rub your nose against the canvasses, Hauz Khas galleries are a good place to spend an hour or two. The Delhi Walla shows you some of them. 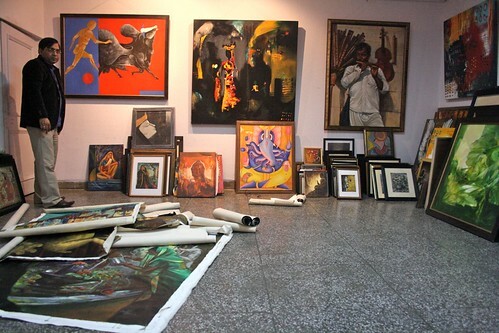 In a neighbourhood that is supposedly charged with the energy of young fresh blood, Delhi Art Gallery, which holds new exhibits every month, deals only with the masters. 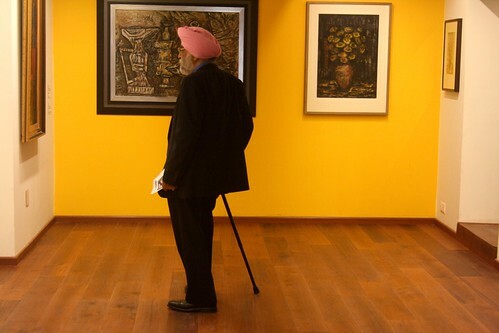 (In January 2011, the revamped DAG opened with an exhibition of 250 works by six of India’s most iconic artists, including SH Raza, MF Husain and FN Souza.) Come here to inhale the thin air of high-value art. The price range oscillates between Rs 4 lakhs and Rs 4 crores. The gallery’s three levels have caramel-colored wooden floors, (mostly) white walls, comfortable sofas and don’t-talk-loudly ambiance. The works have ample air and space around them, with good lighting. 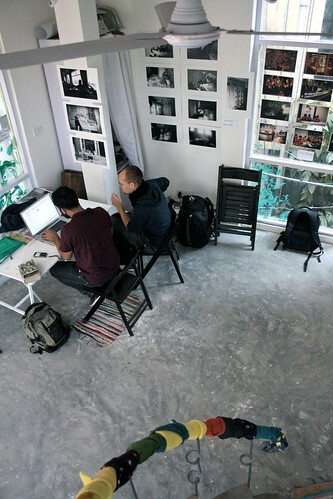 A library on the second floor can be accessed if you convince Kishore Singh, the gallery’s head, that you have more than a passing interest in art. This basement gallery is a must-visit for two reasons. A) The prices are affordable. B) The artist sits at the counter. 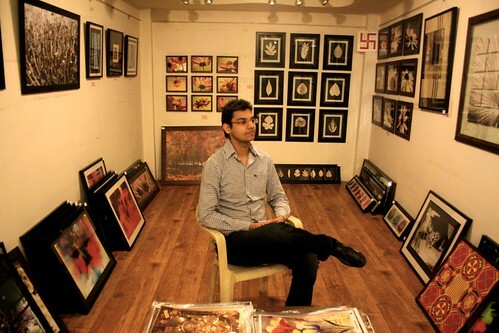 The gallery exhibits photographic prints, graphic wall arts and the “usual abstract art posters.” Opened in 2010, most works are by Sumit Mehndiratta, the young gallery owner who has done solo photo exhibitions in the UK, where he had gone to study… well, marketing. One of his panoramic framed photos of a cloudy sky with a pigeon trying to fly out of the black frame is outstanding. Price: Rs 4,400. With art works starting at Rs 80, you may think that Mr Mehndiratta must be minting money on volume sales. Not true. 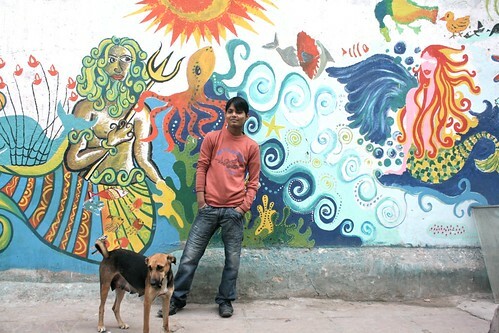 “We Indians don’t appreciate affordable art,” he says. “The general idea is that if it’s not pricey, it’s not worth it.” Prove him wrong. Don’t be fooled by its hole-in-the-wall appearance. 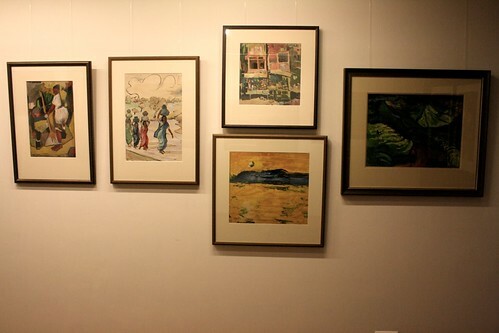 The Village Gallery stocks big-name artists like MF Husain, Ganesh Pany, Veena Bhargav and Jaishree Burman. Since most works on display are lithographs, drawings and sketches rather than full-blown paintings, the prices are not obscene. 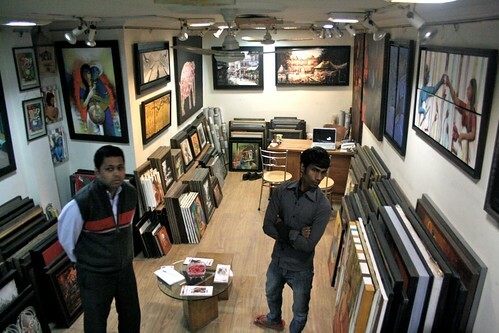 You can get a Husain lithograph for Rs 2.5 lakhs. This gallery specializes in young contemporary Indian artists, which means that its pet painters are still a work-in-progress. (Pick the name you know: Pranam Singh from Benares, Archana Gupta and Sanjay Soni from Delhi, Vipin Kumar from Kanpur.) However, the good side of buying someone who is not a Tyabji or a Raza is that he or she comes cheap. Prices range from Rs 10,000 to Rs 2 lakhs. 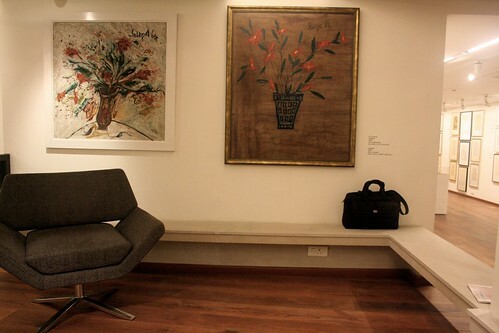 Situated on the principal lane, this basement gallery is like comfort food; the artworks are not sophisticated enough for a Jor Bagh collector but strikes a chord with someone like me who grew up in a trans-Yamuna middle-class flat, complete with plastic flowers, rexine sofas and steel almiras. Most canvasses show streets, animals and humans – all drawn in easy to understand strokes. 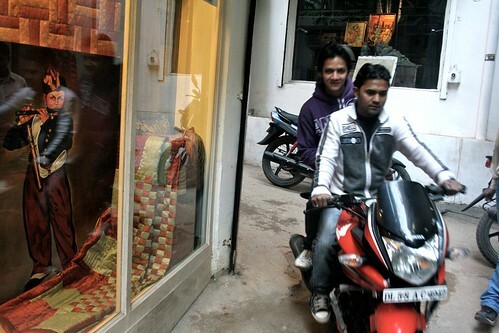 Prices range from Rs 3,000 to Rs 1 lakh. Drop in for the kitsch: Ganeshas, horses and women with heaving bosoms. Prices range from Rs 10,000 to Rs 20,000. Step in if you are a Euro-snob. 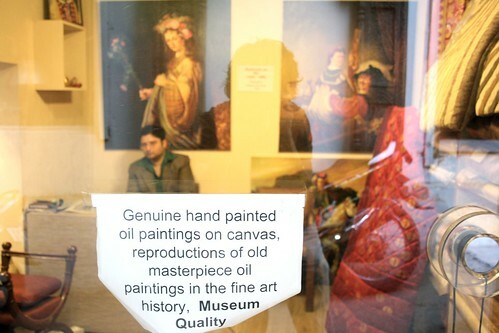 The studio sells hand-painted reproductions of Old Europe painters such as Rembrandt, Van Gogh, Da Vinci, Vermeer or anybody else you might fancy. Order your artist and collect him after a few days. Prices start at Rs 15,000 and go up to Rs 45,000, depending on the canvass size and the work detail of the painting you have asked for. 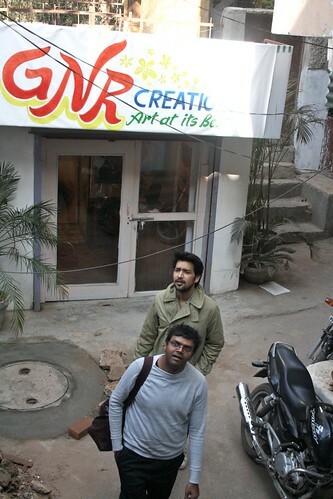 The artist who does the reproductions lives in Hyderabad. Bare floor, frameless walls, furniture-less space, and spiral staircases, Green House is my pick of the pack. 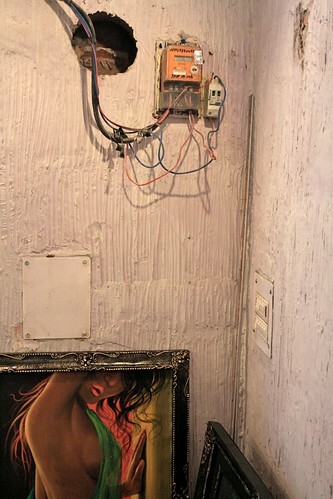 Funded by German embassy’s Max Mueller Bhavan, it is closest to the bohemian soul of Hauz Khas Village: a little listless, seemingly poor, faintly artsy, and as irregular as a hippie’s goodnight hour. Sometimes the gallery is open; sometimes it’s not. 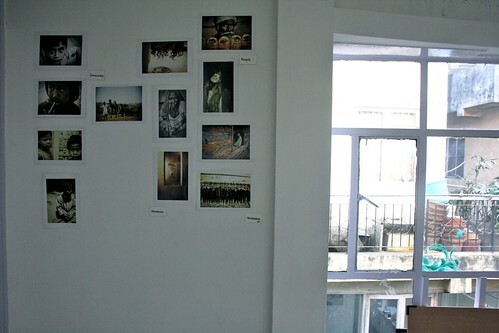 Sometimes an exhibition lasts more than a month; sometimes it ends in a week. Sometimes a show is limited to select artists; sometimes anybody can display his or her work. Sometimes the works are for sale; sometimes they aren’t. Sometimes there are only paintings; sometimes there are only photos. I can go on and on. 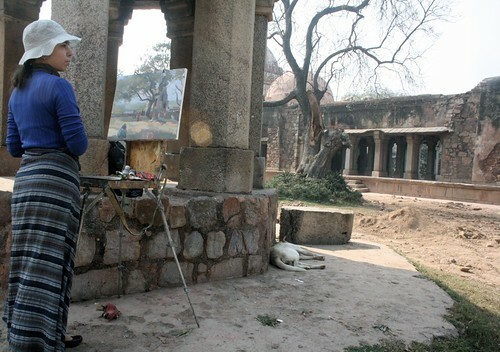 Enter the 14th century Hauz Khas monument complex and if you are lucky, you might spot an artist painting the ruins on her canvass. Watch her finish the work and then ask for its price. 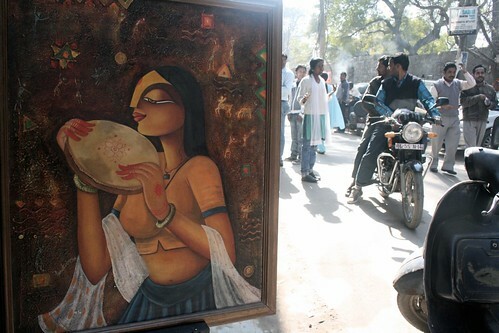 Often the Art students(don’t know from which college) flock up at some corner at the Hauz Khas Village to sell their work. They are lovely. Saw some bunch of artists selling their art in November on some wintery morning. My Friend bought a copy of an oil painting Ravi Raj Varma for 15000rs. It was cheap. He paid in installments. Does it make you laugh?